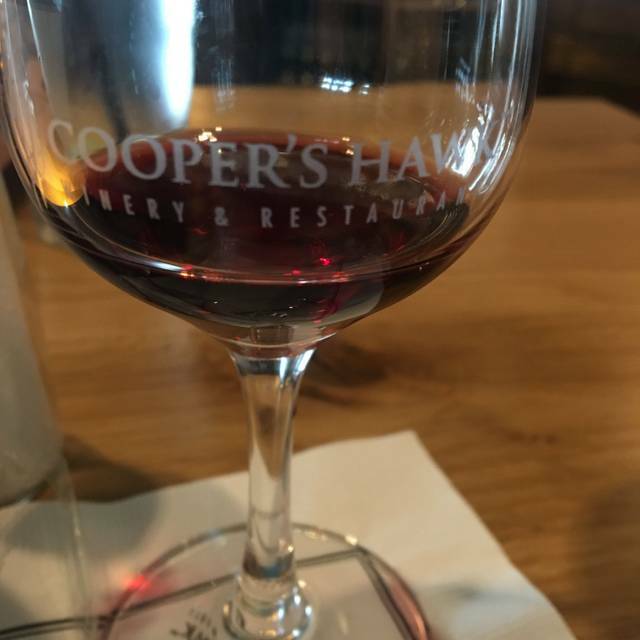 You must make reservations at least 5 minutes in advance of the time at Cooper's Hawk Winery & Restaurant - Ashburn. Cooper’s Hawk specializes in seamless events embodying the warmth and elegance of the wine world. Our Private Party Room and Winery Room offer unique settings for your social and corporate gatherings along with first-class event packages to help choose the perfect menu. We will also happily customize any event package to meet your individual needs. Cooper’s Hawk Winery & Restaurant combines modern, casual dining with award-winning, handcrafted wines. Our menu features fresh contemporary-American fare infused with flavors from around the world. From appetizers to desserts, each dish on our menu is listed with a bin number to help guide you to your selection’s perfect wine match. In addition to dining, Cooper’s Hawk offers a full-service bar, private party spaces, and Napa-style tasting room with specialty gift store, where guests can enjoy sipping and sampling wines in a traditional winery setting. Sourcing the highest quality grapes from the best vineyards around the world has earned Cooper’s Hawk a growing list of more than 200 wine awards. 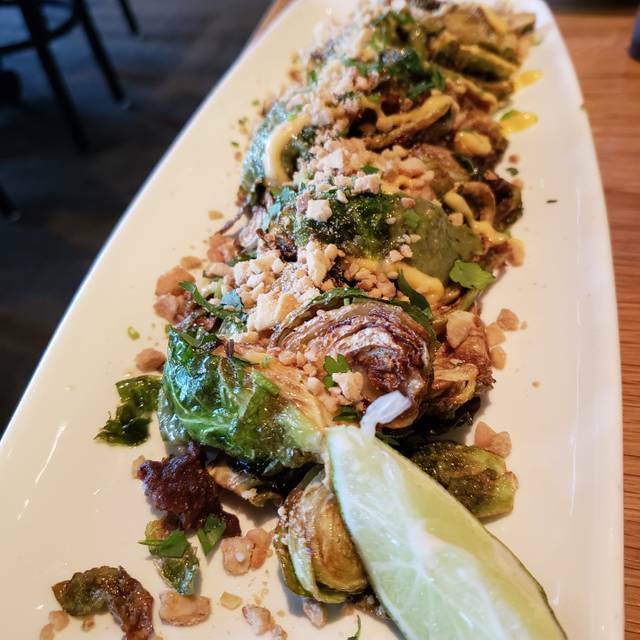 Most recently, Cooper’s Hawk Winery & Restaurants was selected as “Hot Concept 2010” winner by Nation's Restaurant News and MenuMasters winner for the category of “Menu Trendsetter” in 2013. The new shrimp lettuce wrap appetizers were amazing!! For the love of God, please do not take those off the menu! This was the first time at this location. 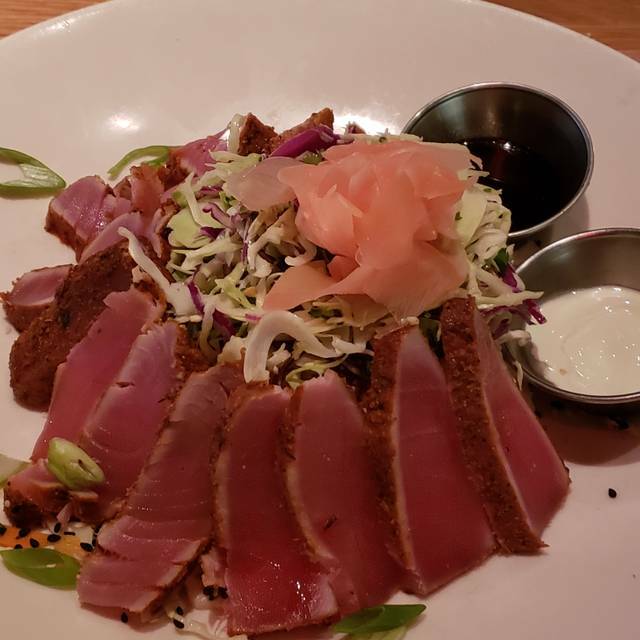 Typically, we go to the Reston location. We were disappointed in the service. We waited over 30 min for the Tuna Sashimi appetizer and then another 30 min for our entrees. Our drinks (cocktails) took 15 min. Not sure what was going on, but we weren’t especially happy with the service. My family loves Cooper’s Hawk. 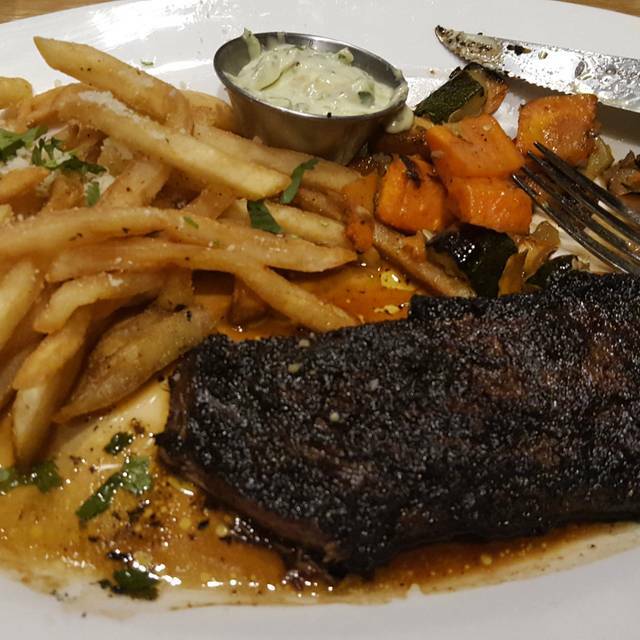 We always get a delicious meal and great service. 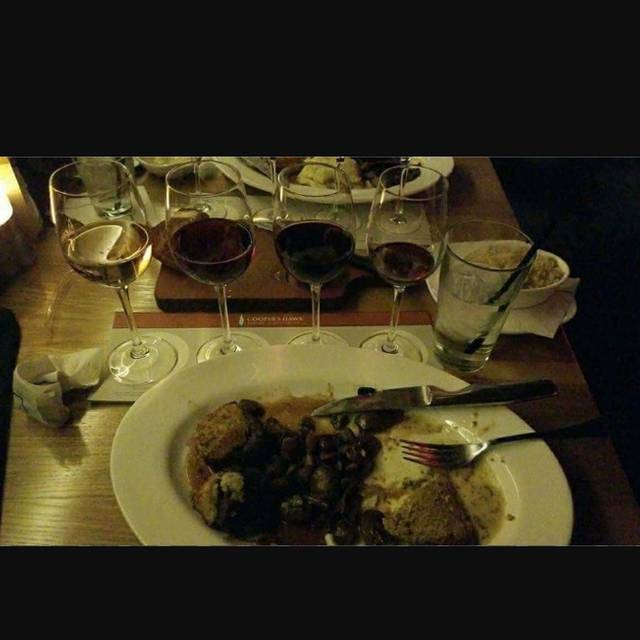 We are wine club members at Coopers Hawk and are regular customers. The last few times we have gone on the weekend, we had the same situation: very slow service from the wait staff and food that was not great. When the food was served, one of the dishes was barely warm, the other piping hot. I suspect that the meals are not being prepared at the same time. 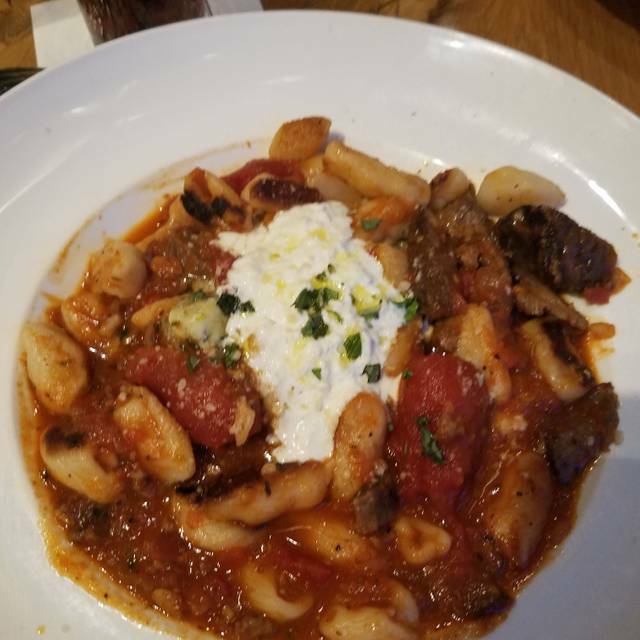 I still love CH during the week -- the food is consistently good and being able to prepay wine by buying into their wine club makes it a good bargain. However, busy weekends seem to be a problem for them. We had a party of 8 and 2 were children. They were going to seat us right next to the bar which was extremely noisy and we asked to be seated somewhere else. They promptly changed our table and were accommodating. The waitress was very nice and friendly. It took longer than I expected to have the pretzel bread brought to our table, (it came just minutes before our meals) our water glasses were not refilled and we had to ask for the dessert that came with the children’s meals (which was brought to us after we were given the bill). Our waitress was amazing and very attentive! We always have great customer sevice but this night it was exceptional. We had two friends in town and this was their first experience and they loved it. Mixed drinks, sparkling wine flight, appetizers and entrees. As usual Cooper Hawk did not disappoint. Always amazing food. Great place, we always have an enjoyable time! Staff keeps pushing customers to join their wine club at every chance. Spoils the customer service and puts on the defensive during your meal. I want relax and eat. Not feel like I am being sold memberships to things I have no interest in while having dinner. I am a customer. Not a walking wallet. We have visited this restaurant a few times now as well as restaurants in Chicago. Each time the food has been good and the preparation reliable. This last visit in Ashburn was no different. Our waitress was a trainee but we would not have known if her trainer had pointed it out. Excellent service. The wine is usually good, occasionally better than good and occasionally not so good. The restaurants are a bit noisier than we would like and the tables a bit too close together. Bottom line, over priced, but a good experience. Cooper's Hawk is out go-to for special occasions. We were celebrating my sister's birthday with friends and it was a lovely meal. Wine and food were great! They went above and beyond for my Dad’s 70th birthday! Food and drinks at Cooper's is always good and dependable. Server was very attentive and overall wait staff are excellent. Seem to enjoy their jobs. It get a bit crowded and noisy at times so not best for intimate conversation but still enjoyable. Our waitress was great. 2 of us had cold fries. My husband is gluten sensitive and had to take croutons out of his salad after ordering off gluten free menu. We were able to visit and enjoy the evening, noise not too loud. My prime sandwich was wonderful. Once again Cooper's Hawk Restaurant delivered a high quality meal with a delicious glass of wine. The service was outstanding, our server Cheryl did a superb job. This is why we keep coming back again and again, great service, great food and of course the wine is above reproach. An exception restaurant. Great food and wine for your value. Server was great as well. My husband and I made reservations one week in advance to go to a much anticipated date night dinner. Upon arrival to Cooper’s hawk in Ashburn, we were greeted by hostesses, who were not dressed appropriately for a nice restaurant. The waitresses were also had sloppy attire and did not have their hair properly pulled back. Upon ordering, we were not given utensils, and then had to wait until we could track down our waiter to request them. Upon receiving them, one fork was broken and the other was dirty with food still on it. We ordered filet medallions, medium and a New York strip, rare. Both came over done. 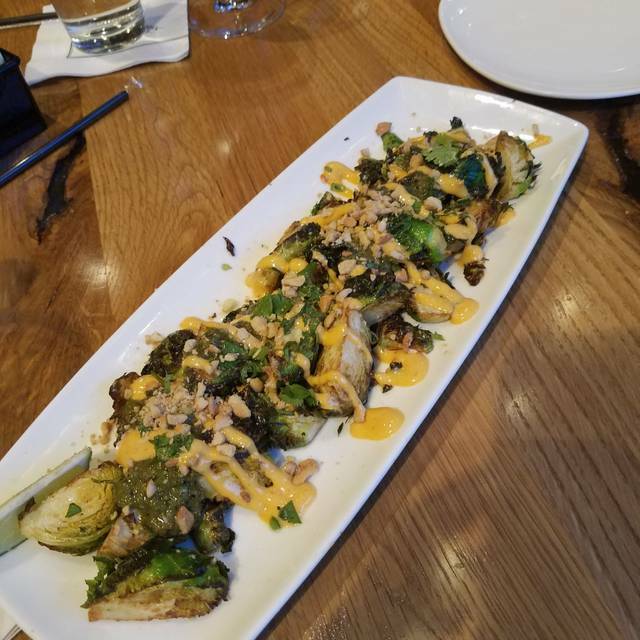 Because of Coopers Hawk, “higher end restaurant “ reputation, these small annoyances were a huge disappointment. These are an issue with management not paying attention to detail. A nice restaurant should take pride in your dining experience. Our experience, unfortunately, was comparable to a main stream chain restaurant. Had a wonderful dinner with our children and grandchildren. They have a great kids menu. The wine bar was hopping when we arrived. So glad we had reservations! I highly recommend making reservations for here. They are busy! Food was excellent. My filet was overcooked but they let me keep my plate and brought me an entire new dinner with a perfectly done filet! No hassle, no calling over a manager. Handled with a minimum of fuss. Everyone plowed thought the tequila shrimp, pot stickers, and meatballs for appetizers. DELISH! All main courses were declared YUMMY! I love that the kids meals come with a chocolate covered strawberry! Will definitely be back! Have been many times and l love the restaurant. I just think our server was new. She didn’t know the menu well and took forever to get our drinks every time we ordered them. It took us over half an hour to get a bottle of wine! She also hardly ever checked on us and forgot an ordered item too I’ve never had issues with the servers before so I’m hoping this was an isolated incident because I generally LOVE the restaurant! Great food, drinks, & staff. This restaurant is much larger than the one in Reston. Service was a bit slow, but the food was amazing! Food was fantastic. Loved their menu. Waiter really knew the menu well and could talk about his favorite foods and wines. Service was attentive without being intrusive. Love it - will be back soon. The only negative was the fact that we were seated right next to the door going to the outside eating area...and the wait staff would let the door slam behind them every time they went in and out. They need to change the door so that it has a soft close! Great place, food, drink, and service was excellent. We had a very emotional meeting/dinner after a rough few months and it was just the perfect night - excellent food and service. We stayed a bit long but our server was patient and very attentive. Thanks for a great experience! 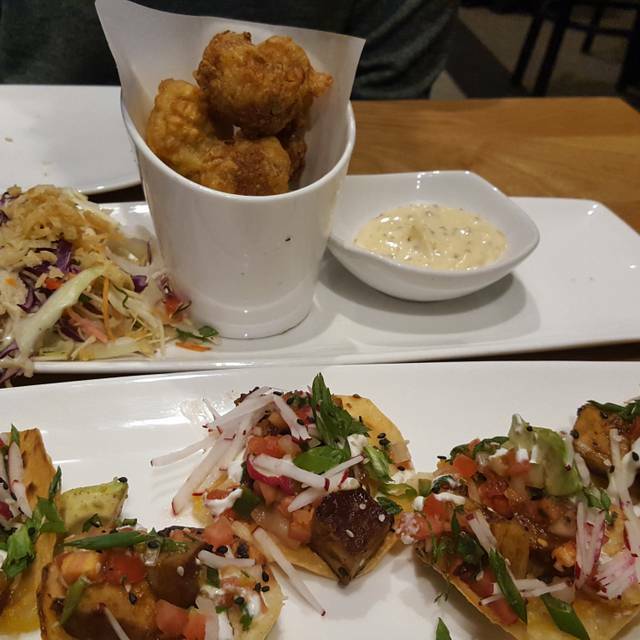 Fantastic food, well-organized and diverse menu, and wonderful service every time! Love Cooper’s Hawk! Food was delicious and our server, Amanda(tall) was fantastic as always. Fantastic wine and food, the waitress was friendly and very easy to talk to, while being helpful at the same time. Consistently coming around and checking on us. This is one of my favorite restaurants and I go as often as I can. Usually I order one of two things - short rib risotto or gnocchi carbonara. This time I actually ordered something different - the chef’s special, Parmesan crusted shrimp scampi on angel hair pasta. It was fantastic! It could have use a bit more pasta for the amazing sauce, but now I have 3 favorite dishes! Wendell (hopefully I spelled his name right) was our server and was outstanding too. The food wash fresh but somewhat bland. The waiter was a bit overbearing. Not a fan. I have already recommended Cooper's Hawk to several friends. First of all, the service was superb! The wine was good, the food was delicious and the presentation very nice. Overall, one of my favorite dining experiences ever. 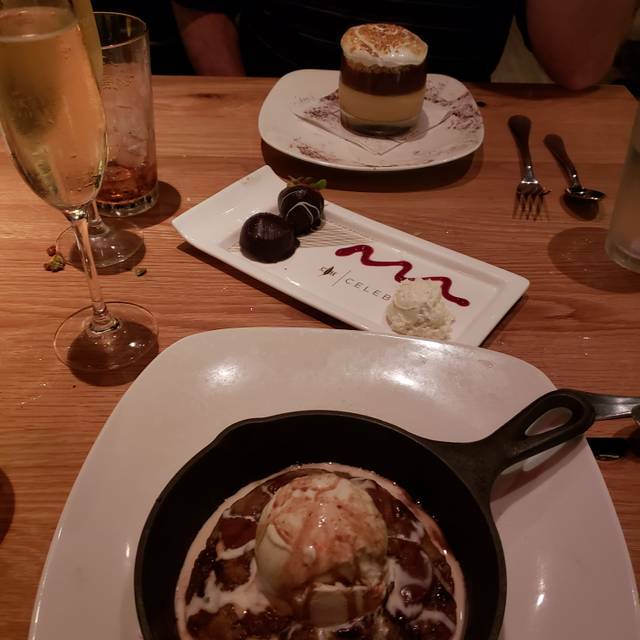 Coopers Hawk is our favorite restaurant in the Ashburn area. It’s classy yet casual and the food is always excellent. I am a member and we had Johanna for our server. She was absolutely fantastic, friendly, attentive with a bubbly personality. I hope we have her for our server every time we visit.